This article is about the foreign relations of France since 1958. For earlier history, see History of French foreign relations. In the 19th century France built a new colonial empire second only to the British Empire. It was humiliated in the Franco-Prussian War of 1870–71, which marked the rise of Germany to dominance in Europe. France was on the winning side of the First World War, but fared poorly in the Second World War. It fought losing wars in Indochina (ending in 1954) and Algeria (ending in 1958). The Fourth Republic collapsed and the Fifth Republic began in 1958 to the present. Under Charles De Gaulle it tried to block American and British influence on the European community. Since 1945 France has been a founding member of the United Nations, of NATO, and of the European Coal and Steel Community (the European Union's predecessor). As a charter member of the United Nations, France holds one of the permanent seats in the Security Council and is a member of most of its specialized and related agencies. France is also a founding member of the Union for the Mediterranean and the La Francophonie and plays a key role, both in regional and in international affairs. François Mitterrand, a Socialist, emphasized European unity and the preservation of France's special relationships with its former colonies in the face of "Anglo-Saxon influence." A part of the enacted policies was formulated in the Socialist Party's 110 Propositions for France, the electoral program for the 1981 presidential election. He had a warm and effective relationship with the conservative German Chancellor Helmut Kohl. They promoted French-German bilateralism in Europe and strengthened military cooperation between the two countries. Shortly after taking office, President Sarkozy began negotiations with Colombian president Álvaro Uribe and the left-wing guerrilla FARC, regarding the release of hostages held by the rebel group, especially Franco-Colombian politician Ingrid Betancourt. According to some sources, Sarkozy himself asked for Uribe to release FARC's "chancellor" Rodrigo Granda. . Furthermore, he announced on 24 July 2007, that French and European representatives had obtained the extradition of the Bulgarian nurses detained in Libya to their country. In exchange, he signed with Gaddafi security, health care and immigration pacts – and a $230 million (168 million euros) MILAN antitank missile sale. The contract was the first made by Libya since 2004, and was negotiated with MBDA, a subsidiary of EADS. Another 128 million euros contract would have been signed, according to Tripoli, with EADS for a TETRA radio system. The Socialist Party (PS) and the Communist Party (PCF) criticized a "state affair" and a "barter" with a "Rogue state". The leader of the PS, François Hollande, requested the opening of a parliamentary investigation. On 8 June 2007, during the 33rd G8 summit in Heiligendamm, Sarkozy set a goal of reducing French CO2 emissions by 50% by 2050 in order to prevent global warming. He then pushed forward the important Socialist figure of Dominique Strauss-Kahn as European nominee to the International Monetary Fund (IMF). Critics alleged that Sarkozy proposed to nominate Strauss-Kahn as managing director of the IMF to deprive the Socialist Party of one of its more popular figures. Sarkozy normalised what had been strained relations with NATO. 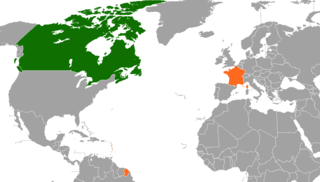 In 2009, France again was a fully integrated NATO member. François Hollande has continued the same policy. Socialist François Hollande won election in 2012 as president. He adopted a generally hawkish foreign-policy, in close collaboration with Germany in regard to opposing Russian moves against Ukraine, and in sending the military to fight radical Islamists in Africa. He takes a hard line with regard to the Greek debt crisis. François Hollande launched two military operations in Africa: Operation Serval in Mali (the French armed forces stopped an Islamist takeover of Bamako, the nation's capital city); and Operation Sangaris (to restore peace there as tensions between different religious communities had turned into a violent conflict). France was also the first European nation to join the United States in bombing the Islamic State of Iraq and the Levant. Under President Hollande, France's stances on the civil war in Syria and Iran's nuclear program has been described as "hawkish". France does not have as much relative global clout as it used to. Decolonization ... diminished France’s territorial holdings and therefore its influence. Other countries acquired nuclear weapons and built up their armies. The message of “universal” values carried by French foreign policy has encountered much resistance, as other countries have developed following a different political trajectory than the one preached by France. By the 1990s, the country had become, in the words of Stanley Hoffmann, an “ordinary power, neither a basket case nor a challenger.” Public opinion, especially in the United States, no longer sees France as an essential power. The last time that its foreign policy put France back in the world spotlight was at the outset of the Iraq intervention...[with] France’s refusal to join the US-led coalition....In reality, however, France is still a highly relevant power in world affairs....France is a country of major military importance nowadays...., France also showed it mattered in world environmental affairs with....the Paris Agreement, a global accord to reduce carbon emissions. The election of Trump in 2016 may reinforce demands for France to step in and lead global environmental governance if the US disengages, as the new president has promised, from a variety of policies. Yet behind this widespread revulsion lies a diplomatic opportunity. With the United States looking inward and Trump having torn up the traditional foreign policy rule book...Macron, is seeking to reinvigorate the European project as a way of restoring French leadership. French power is no substitute for American power, of course. But with the United States’ image, global role, and reliability newly uncertain, Europeans feel a void that someone must fill—and France thinks it should at least try to do just that. France established relations with the Middle East during the reign of Louis XIV. To keep Austria from intervening into its plans regarding Western Europe he lent limited support to the Ottoman Empire, though the victories of Prince Eugene of Savoy destroyed these plans. In the nineteenth century France together with Great Britain tried to strengthen the Ottoman Empire, the now "Sick man of Europe", to resist Russian expansion, culminating in the Crimean War. France also pursued close relations with the semi-autonomous Egypt. In 1869 Egyptian workers -under the supervision of France- completed the Suez Canal. A rivalry emerged between France and Britain for control of Egypt, and eventually Britain emerged victorious by buying out the Egyptian shares of the company before the French had time to act. After the unification of Germany in 1871, Germany successfully attempted to co-op France's relations with the Ottomans. In World War I the Ottoman Empire joined the Central Powers, and was defeated by France and Britain. After the collapse of the Ottoman Empire France and Britain divided the Middle East between themselves. France received Syria and Lebanon. These colonies were granted independence after 1945, but France still tried to forge cultural and educational bonds between the areas, particularly with Lebanon. Relationships with Syria are more strained, due to the policies of that country. In 2005, France, along with the United States, pressured Syria to evacuate Lebanon. In the post-World War II era French relations with the Arab Middle East reached a very low point. The war in Algeria between Muslim fighters and French colonists deeply concerned the rest of the Muslim world. The Algerian fighters received much of their supplies and funding from Egypt and other Arab powers, much to France's displeasure. Most damaging to Franco-Arab relations, however, was the Suez Crisis. It greatly diminished France's reputation in the region. France openly supported the Israeli attack on the Sinai peninsula, and was working against Nasser, then a popular figure in the Middle East. The Suez Crisis also made France and the United Kingdom look again like imperialist powers attempting to impose their will upon weaker nations. Another hindrance to France's relations with the Arab Middle East was its close alliance with Israel during the 1950s. This all changed with the coming of Charles de Gaulle to power. De Gaulle's foreign policy was centered around an attempt to limit the power and influence of both superpowers, and at the same time increase France's international prestige. De Gaulle hoped to move France from being a follower of the United States to becoming the leading nation of a large group of non-aligned countries. The nations de Gaulle looked at as potential participants in this group were those in France's traditional spheres of influence: Africa and the Middle East. The former French colonies in eastern and northern Africa were quite agreeable to these close relations with France. These nations had close economic and cultural ties to France, and they also had few other suitors amongst the major powers. This new orientation of French foreign policy also appealed strongly to the leaders of the Arab nations. None of them wanted to be dominated by either of the superpowers, and they supported France's policy of trying to balance the US and the USSR and to prevent either from becoming dominant in the region. The Middle Eastern leaders wanted to be free to pursue their own goals and objectives, and did not want to be chained to either alliance block. De Gaulle hoped to use this common foundation to build strong relations between the nations. He also hoped that good relations would improve France's trade with the region. De Gaulle also imagined that these allies would look up to the more powerful French nation, and would look to it in leadership in matters of foreign policy. The end of the Algerian conflict in 1962 accomplished much in this regard. France could not portray itself as a leader of the oppressed nations of the world if it still was enforcing its colonial rule upon another nation. The battle against the Muslim separatists that France waged in favour of the minority of white settlers was an extremely unpopular one throughout the Muslim world. With the conflict raging it would have been close to impossible for France to have had positive relations with the nations of the Middle East. The Middle Eastern support for the FLN guerillas was another strain on relations that the end of the conflict removed. Most of the financial and material support for the FLN had come from the nations of the Middle East and North Africa. This was especially true of Nasser's Egypt, which had long supported the separatists. Egypt is also the most direct example of improved relations after the end of hostilities. The end of the war brought an immediate thaw to Franco-Egyptian relations, Egypt ended the trial of four French officers accused of espionage, and France ended its trade embargo against Egypt. In 1967 de Gaulle completely overturned France's Israel policy. De Gaulle and his ministers reacted very harshly to Israel's actions in the Six-Day War. The French government and de Gaulle condemned Israel's treatment of refugees, warned that it was a mistake to occupy the West Bank and Gaza Strip, and also refused to recognize the Israeli control of Jerusalem. The French government continued to criticize Israel after the war and de Gaulle spoke out against other Israeli actions, such as the operations against the Palestine Liberation Organization in Lebanon. France began to use its veto power to oppose Israel in the UN, and France sided with the Arab states on almost all issues brought to the international body. Most importantly of all, however, de Gaulle's government imposed an arms embargo on the Israeli state. The embargo was in fact applied to all the combatants, but very soon France began selling weaponry to the Arab states again. As early as 1970 France sold Libya a hundred Dassault Mirage fighter jets. However, after 1967 France continued to support Israel's right to exist, as well as Israel's many preferential agreements with France and the European Economic Community. In the second half of the 20th century, France increased its expenditures in foreign aid greatly, to become second only to the United States in total aid amongst the Western powers and first on a per capita basis. By 1968 France was paying out $855 million per year in aid far more than either West Germany or the United Kingdom. The vast majority of French aid was directed towards Africa and the Middle East, usually either as a lever to promote French interests or to help with the sale of French products (e.g. arms sales). France also increased its expenditures on other forms of aid sending out skilled individuals to developing countries to provide technical and cultural expertise. The combination of aid money, arms sales, and diplomatic alignments helped to erase the memory of the Suez Crisis and the Algerian War in the Arab world and France successfully developed amicable relationships with the governments of many of the Middle Eastern states. Nasser and de Gaulle, who shared many similarities, cooperated on limiting American power in the region. Nasser proclaimed France as the only friend of Egypt in the West. France and Iraq also developed a close relationship with business ties, joint military training exercises, and French assistance in Iraq's nuclear program in the 1970s. France improved relations with its former colony Syria, and eroded cultural links were partially restored. In terms of trade France did receive some benefits from the improved relations with the Middle East. French trade with the Middle East increased by over fifty percent after de Gaulle's reforms. The weaponry industries benefited most as France soon had lucrative contracts with many of the regimes in the Middle East and North Africa, though these contracts account for a negligible part of France's economy. De Gaulle had hoped that by taking a moderate path and not strongly supporting either side France could take part in the Middle East peace process between Israel and the Arab nations. Instead it has been excluded from any major role. France plays a significant role in Africa, especially in its former colonies, through extensive aid programs, commercial activities, military agreements, and cultural impact. In those former colonies where the French presence remains important, France contributes to political, military, and social stability. Many think that French policy in Africa – particularly where British interests are also involved – is susceptible to what is known as 'Fashoda syndrome'. Others have criticized the relationship as neocolonialism under the name Françafrique, stressing France's support of various dictatorships, among others: Omar Bongo, Idriss Déby, and Denis Sassou Nguesso. Relations between post-colonial Algeria and France have remained close throughout the years, although sometimes difficult. In 1962, the Evian Accords peace treaty laid the foundations of a new Franco-Algerian relationship. In exchange for a generous coopération regime (massive financial, technical and cultural aid), France secured a number of economic and military privileges. Economically, France enjoyed a preferential treatment vis-à-vis the Saharan wealth of hydrocarbons. Militarily, it could keep the Mers-el-Kébir base for 15 years and use the Saharan nuclear test-sites for another five years. France had used these sites to carry out its first nuclear tests (Gerboise bleue) in 1960. 90% or more of the Europeans established in Algeria (pieds-noirs) left the country in a massive exodus creating a difficult void in the bureaucratic, economic and educational structure of Algeria. On the other hand, the issue of the harkis, the Arabs who had fought on the French side during the war, was still to be solved at the turn of the 21st century, being somehow ignored by the French while seen as outright traitors by the Algerian people. On the economical level, Algeria remained for some time the fourth largest importer of French goods, conducting all its transactions with France in the Franc zone. Many Algerians were encouraged by French authorities and businessmen to migrate to France in order to provide workforce during the Trente Glorieuses (Thirty Glorious) growth. Relations between France and Algeria have remained closely intertwined, and France could not entirely escape from the chaos which threatened Algeria during the civil war in the nineties. Ahmed Ben Bella, the first President of Algeria was reported in a 2001 interview as saying that "The Algerian people have lived with blood. We brought de Gaulle to his knees. We struggled against French rule for 15 years under the leadership of Emir Abdel-Kader Al-Jazairi. The Algerian population was then four million. French repression cost us two million lives. It was genocide. We survived as a people. Barbaric French atrocities did not subdue our fighting spirit." On 23 February 2005, the French law on colonialism was an act passed by the Union for a Popular Movement (UMP) conservative majority, which imposed on high-school (lycée) teachers to teach the "positive values" of colonialism to their students (article 4). The law created a public uproar and opposition from the whole of the left-wing, and was finally repealed by president Jacques Chirac (UMP) at the beginning of 2006, after accusations of historical revisionism from various teachers and historians. Algerians feared that the French law on colonialism would hinder the task the French confronting the dark side of their colonial rule in Algeria because article 4 of the law decreed among other things that "School programmes are to recognise in particular the positive role of the French presence overseas, especially in North Africa, ..." Benjamin Stora a leading specialist on French Algerian history and an opponent of the French law on colonialism, said "France has never taken on its colonial history. It is a big difference with the Anglo-Saxon countries, where post-colonial studies are now in all the universities. We are phenomenally behind the times." In his opinion, although the historical facts were known to academics, they were not well known by the French public and this led to a lack of honesty in France over French colonial treatment of the Algerian people. During the period that the French law on colonialism was in force, several Algerians and others raised issues and made comments to emphasise that there were many aspects of French colonial rule that were not widely known in France. A senior Algerian official Mohamed El Korso said that "[French] repentance is seen by the Algerian people as a sine qua non before any Franco-Algerian friendship treaty can be concluded." and with reference to the Setif massacre that "French and international public opinion must know that France committed a real act of genocide in May 1945" The Algerian president Abdelaziz Bouteflika said Algeria had "never ceased waiting for an admission from France of all the acts committed during the colonial period and the war of liberation." and drew comparisons between the burning of the bodies of the victims of the Setif massacre with the crematoria in the Nazi death camps. More recently on 17 April 2006, Bouteflika emphasised Algeria's point of view when said in a speech in Paris that "Colonization brought the genocide of our identity, of our history, of our language, of our traditions". French authorities responded to the claims by President Bouteflika and others by playing down the comments, urging "mutual respect" French Foreign Minister Michel Barnier told Algeria in an official visit to make a common effort to search history "in order to establish a common future and overcome the sad pages". In an interview with El Vatan, an Algerian newspaper, Barnier said that "Historians from two sides must be encouraged to work together. They must work on the common past". French authorities asked president Abdelaziz Bouteflika to study with France the disarmed 150,000 Harkis killed without another reason that revenge, by his party, the National Liberation Front (FLN). French President Jacques Chirac, upon harsh reactions to the law encouraging the good sides of the French colonial history, made the statement, "Writing history is the job of the historians, not of the laws." According to Prime Minister, Dominique de Villepin, "speaking about the past or writing history is not the job of the parliament." The issue of the French human rights record in Algeria is also politically sensitive in Turkey. France recognized Armenian genocide by the Turks in 1998. In response to the action of the French parliament, making it an offense to deny the existence of such a genocide, the Grand National Assembly of Turkey drafted a bill in October 2006 to make it illegal to deny that the French committed genocide in Algeria. Turkish party leaders, including CHP, MHP, BBP and ANAP called on France to recognize what they called "Algerian genocide". However, the draft never became an official law. Algeria has an embassy in Paris and several consulates-general throughout the country. France has an embassy in Algiers and consulates-general in Annaba and Oran. Relations between the two countries have not always been cordial due to the former French government's policy of supporting militant separatists in Angola's Cabinda province and the international Angolagate scandal embarrassed both governments by exposing corruption and illicit arms deals. Following French President Nicolas Sarkozy's visit in 2008, relations have improved. Angola has an embassy in Paris. France has an embassy in Luanda. Benin has an embassy in Paris. France has an embassy in Cotonou. Burkina Faso has an embassy in Paris. France has an embassy in Ouagadougou. Burundi has an embassy in Paris. France has an embassy in Bujumbura. Cameroon has an embassy in Paris. France has an embassy in Yaoundé and a consulate-general in Douala. Central African Republic has an embassy in Paris. France has an embassy in Bangui. The French military has been present in Chad since 1986 in the frame of Operation Epervier. Chad has an embassy in Paris. France has an embassy in N'djamena. Côte d'Ivoire In 2002 and 2003, France participated in military interventions in Côte d'Ivoire (see Operation Licorne and UNOCI, Liberia and the Democratic Republic of Congo, helping in the evacuation of foreign residents and the protection of civilians from warring factions. Côte d'Ivoire has an embassy in Paris. France has an embassy in Abidjan. Congo has an embassy in Paris. France has an embassy in Brazzaville. Comoros has an embassy in Paris. France has an embassy in Moroni. France and Germany decided on a concerted military operation in the Democratic Republic of Congo. This operation included sending 1500 European troops to the DRC to support fair and regular presidential elections in June 2006. While Germany leads the mission, both France and Germany provide 500 soldiers each, with the rest of the soldiers coming from other European countries. Many scholars of the European Common Foreign and Security Policy (CFSP) question whether the mission is of great use, and argue that it is rather symbolic in character. With 17.000 United Nations forces already deployed in the DRC the purpose of such a small operation remains questionable. The European troops will be stationed in the capital-city Kinshasa only. It is probable however, that the expertise of former peace-building missions on the Balkans will be useful in order to prevent any major escalation during the elections. In 2013, France's then president on his visit to DRC suggested that prisoners Joshua French and Tjostolv Moland should be moved out of the situation of their six-man prison cell; five days later the two prisoners shared a cell of their own. DR Congo has an embassy in Paris. France has an embassy in Kinshasa. France has an embassy in Djibouti City. Egypt has an embassy in Paris. France has an embassy in Cairo and a consulate-general in Alexandria. Ethiopia has an embassy in Paris. France has an embassy in Addis Ababa. Since independence, Gabon has been "one of France's closest allies in Africa". As of 2008, around 10,000 French nationals lived and worked in Gabon, while the 6th Marine Infantry Battalion of the French military is also stationed there. France has an embassy in Libreville. Gabon has an embassy in Paris. France has an embassy in Conakry. Guinea has an embassy in Paris. France has an embassy in Nairobi. Kenya has an embassy in Paris. In the 1980s, Libyan-French discord centered on the situation in Chad. As mentioned, the two countries found themselves supporting opposite sides in the Chadian Civil War. In late 1987, there were some French troops in Chad, but French policy did not permit its forces to cross the sixteenth parallel. Thus, direct clashes with Libyan soldiers seemed unlikely. On 10 March 2011, France was the first country in the world to recognise the National Transitional Council as the legitimate government of Libya, in the context of the 2011 Libyan civil war against Muammar Gaddafi. France has an embassy in Antananarivo. Madagascar has an embassy in Paris and consulates-general in Marseille and Saint-Denis. France has an embassy in Bamako. Mali has an embassy in Paris. The relations date back to the colonial era when Mauritania was part of French West Africa. France has an embassy in Nouakchott. Mauritania has an embassy in Paris. France has an embassy in Port Louis. Mauritius has an embassy in Paris. France has an embassy in Rabat and several consulates-general throughout the country. Morocco has an embassy in Paris and several consulates-general throughout the country. France has an embassy in Maputo. Mozambique has an embassy in Paris. The relations between France and the Republic of Niger are based on a long shared history and the more than sixty year rule of Niger by French colonial empire beginning with the French conquest in 1898. Niger obtained independence from France in 1960, and a history of French influenced culture and French language have been a point of commonality in the creation of a distinctive Nigerien culture from the diverse pre-colonial nationalities which make up modern Niger. France benefited economically from their time as a colonial power, and still relies on imports from Niger for elements of their economy. France has an embassy in Niamey. Niger has an embassy in Paris. France has an embassy in Abuja and a consulate-general in Lagos. Nigeria has an embassy in Paris. Rwanda In the period from 1990, until the Rwandan genocide, France (under Mitterrand) took a role sympathetic to the Habyarimana government. France has an embassy in Kigali. Rwanda has an embassy in Paris. France has an embassy in Dakar. Senegal has an embassy in Paris and consulates-general in Bordeaux, Lyon and in Marseille and a consular agency in Le Havre. Bilateral relations between France and Somalia were established shortly after Somalia's independence. The French government opened an embassy in Mogadishu, and its Somalian counterpart likewise maintained an embassy in Paris. Following a significantly improved security situation, the Government of France in January 2014 appointed Remi Marechaux as the new French ambassador to Somalia. France has an embassy in Khartoum. Sudan has an embassy in Paris. France has an embassy in Pretoria and consulates-general in Cape Town and Johannesburg. South Africa has an embassy in Paris. France has an embassy in Tunis. Tunisia has an embassy in Paris and several consulates-general throughout the country. France has an embassy in Harare. Zimbabwe has an embassy in Paris. Argentina has an embassy in Paris. France has an embassy in Buenos Aires. Barbados is accredited to France from its embassy in Brussels, Belgium. France is accredited to Barbados from its embassy in Castries, Saint Lucia and maintains an honorary consulate in Bridgetown. Both countries established diplomatic relations in November, 1981. Belize is accredited to France from its embassy in London, United Kingdom. France is accredited to Belize from its embassy in San Salvador, El Salvador. France has recognized Brazil as its special partner in South America and as a global player in international affairs. The two countries are committed to strengthening their bilateral cooperation in the areas for which working groups have been created: nuclear energy, renewable energies, defence technologies, technological innovation, joint cooperation in African countries and space technologies, medicines and the environment. Recently, France announced its support to the Brazilian bid for a permanent seat on the United Nations Security Council. Brazil has an embassy in Paris and consulates-general in Cayenne and Saint-Georges, French Guiana. France has an embassy in Brasília and consulates-general in Rio de Janeiro and São Paulo and a consulate in Recife. Canada has an embassy in Paris. Quebec also maintains a paradiplomatic Government Office called Délégation générale du Québec à Paris. France has an embassy in Ottawa and consulates-general in Moncton, Montreal, Quebec City, Toronto and Vancouver. Relations with Colombia have been dimmed, by the Ingrid Betancourt issue from 2002 to 2008; in 2002, Ingrid Betancourt, a Colombian and French citizen and the green party candidate to the presidency of Colombia, was kidnapped by the Revolutionary Armed Forces of Colombia (FARC), France pushed the Colombian government to free FARC prisoners to get Mrs Betancourt back; Colombia once consented with these efforts and on 4 June. 2007; 30 FARC members were liberated, including the leader Rodrigo Granda. On 2 July. 2008 Ingrid Betancourt was rescued by the Colombian authorities in Operation Jaque. France had urged Colombia not to attempt to free Betancourt. Colombia has an embassy in Paris. Cuba has an embassy in Paris. France has an embassy in Havana. El Salvador has an embassy in Paris. France has an embassy in San Salvador. Both countries established diplomatic relations on 22 June 1967. France is accredited to Guyana from its embassy in Paramaribo, Suriname and maintains an honorary consulate in Georgetown, Guyana. Guyana is accredited to France from its high commission in London, United Kingdom. Both countries have passed a number of bilateral treaties. France has an embassy in Port-au-Prince. Haiti has an embassy in Paris and consulates-general in Cayenne, French Guiana and in Pointe-à-Pitre, Guadeloupe. France has an embassy in Mexico City. Mexico has an embassy in Paris and a liaison office in Strasbourg. Both countries are members of the OECD and the G-20. Both countries has diplomatic relations since the Treaty of Friendship, Trade and Navigation signed in 1853. France has an embassy in Asunción. Paraguay has an embassy in Paris. France has an embassy in Lima. Peru has an embassy in Paris. Bilateral relations between the countries France and Trinidad and Tobago have existed for about two hundred years. Currently, France has an embassy in Port of Spain. Trinidad and Tobago is represented in France through its embassy in Brussels (Belgium). Trinidad and Tobago also has bilateral investment agreements with France. France has an embassy in Port of Spain. Trinidad and Tobago is accredited to France from its embassy in Brussels, Belgium. Relations between the United States and France are active and cordial. Mutual visits by high-level officials are conducted on a regular basis and bilateral contact at the cabinet level is active. France and the United States cooperate closely on some issues (such as anti-terrorism) but differ on others (such as the Israeli–Palestinian conflict and a number of trade issues). Differences are discussed frankly. The largest current fallout between the United States and France involves the Iraq War, and some aspects of the post-11 September War on Terror, e.g., CIA "extraordinary renditions". France has an embassy in Washington, D.C. and consulates-general in Atlanta, Boston, Chicago, Houston, Los Angeles, Miami, New Orleans, New York City and San Francisco. United States has an embassy in Paris and consulates-general in Marseille and Strasbourg. France has an embassy in Montevideo. Uruguay has an embassy in Paris and honorary consulates in Bordeaux, Marseille and Toulouse. Venezuela has an embassy in Paris. France does not have formal diplomatic relationships with North Korea. North Korea however maintains a delegation (not an embassy nor a consulate) near Paris. As most countries, France does not recognize, nor have formal diplomatic relationships with Taiwan, due to its recognition of China; however, Taiwan maintains a representation office in Paris which is similar to an embassy. Likewise, the French Institute in Taipei has an administrative consular section that delivers visas and fulfills other missions normally dealt with by diplomatic outposts. Afghanistan has an embassy in Paris. France has an embassy in Kabul. Armenia has an embassy in Paris and consulates-general in Lyon and Marseille. Azerbaijan has an embassy in Paris. France has an embassy in Baku. Cambodia has an embassy in Paris. France has an embassy in Phnom Penh. During the 1990s, France and the PRC repeatedly clashed as a result of the PRC's One China Policy. France sold weapons to Taiwan, angering the Beijing government. This resulted in the temporary closure of the French Consulate-General in Guangzhou. France eventually agreed to prohibit local companies from selling arms to Taiwan, and diplomatic relations resumed in 1994. Since then, the two countries have exchanged a number of state visits. Today, Sino-French relations are primarily economic. Bilateral trade reached new high levels in 2000. Cultural ties between the two countries are less well represented, though France is making an effort to improve this disparity. China has an embassy in Paris and consulates-general in Lyon, Marseille, Papeete, Saint-Denis and Strasbourg. France has an embassy in Beijing and consulates-general in Chengdu, Guangzhou, Hong Kong, Shanghai, Shenyang and Wuhan. France has an embassy in Tbilisi. Georgia has an embassy in Paris. The Indian Air Force has the second largest fleet of France's Mirage 2000H after Armée de l'Air. France and India established diplomatic relationships soon after India achieved independence in 1947. India's strong diplomatic ties with France resulted in the peaceful cession of Pondichéry to India on 1 November 1954 without any military opposition from France. France was the only country that did not condemn India's decision to go nuclear in 1998. In 2003, France became the largest supplier of nuclear fuel and technology to India and remains a large military and economic trade partner. India's permanent member aspirations in the UN Security Council have found very strong support from former French President Chirac. The recent decision by the Indian government to purchase French Scorpène-class submarines worth 3 billion USD and 43 Airbus aircraft for Indian Airlines worth 2.5 billion USD has further cemented the strategic, military and economic co-operation between India and France. France also became the first country to do nuclear trade with India after NSG waiver on 30 September 2008. France has an embassy in New Delhi. India has an embassy in Paris. The relations between France and Indonesia have been increasing of late, while Indonesia has become increasingly strategic to the government and people of France. Not only because of economic development (there are 110 French multinational companies operated in Indonesia), it also because France viewed Indonesia has been playing an increasingly significant international role. The relations between two nations are important as both are democratic republics and both holds significant geopolitical influences in each regions, France is indispensable member of European Union, as well as Indonesia for Association of Southeast Asian Nations. The diplomatic relation between France and Indonesia is also a key element for developing relations between Indonesia and the European Union and between France and the ASEAN. Both nations are the member of G-20 major economies. France has an embassy in Jakarta. Indonesia has an embassy in Paris. Iran has generally enjoyed a friendly relationship with France since the Middle Ages. The travels of Jean-Baptiste Tavernier are particularly well known to Safavid Persia. Recently however, relations have soured over Iran's refusal to halt uranium enrichment and France supporting the referral of Iran to the United Nations Security Council. Under French President Jacques Chirac, relations were warm and friendly as the French government helped the Iranian government to hunt down PMOI terrorists. France has an embassy in Tehran. Iran has an embassy in Paris. Before Iraq invaded Kuwait in 1991, France enjoyed friendly relations with former Iraqi president Saddam Hussein, however the relationship turned sour once Iraq entered Kuwaiti soil and soon France cut off ties with Iraq. Following thirteen years, France resumed relations with Iraq in 2003. France and Germany opposed the American-British invasion of 2003 to 2011. Iraq has an embassy in Paris and France has an embassy and a representative office in Baghdad. France has an embassy in Baghdad. Iraq has an embassy in Paris. France has an embassy in Tel Aviv and consulates-general in Haifa and Jerusalem. Israel has an embassy in Paris and a consulate-general in Marseille. Recently France has been very involved in trade and cultural exchange initiatives with Japan. Some people see this as being a result of French leader Jacques Chirac being a Japanophile. Chirac has visited Japan over 40 times, probably more than any other world leader outside Japan, and is an expert on the country. France has started the export promotion campaign "Le Japon, c'est possible" and the international liaison personnel exchange JET Programme. Together they built the Maison de la Culture du Japon à Paris. France and Japan have also worked together to improve dire health situations from AIDS and underdevelopment in Djibouti, Madagascar, Uganda, and other countries. Japan and France are also known to share ideas with each other in the realms of art and cooking. Japan has been heavily influenced by French cuisine within the past few decades, as seen on the television show Iron Chef. Anime is popular in France, and French historical figures and settings from medieval, Renaissance, Napoleonic, and World War eras have served as models for certain popular stories in Japanese entertainment. The purity of Japanese painting and illustration, and likewise the modernity and elegance of French visual arts has resulted in hybrid styles in those creative fields. France has an embassy in Tokyo and consulate-general in Kyoto. Japan has an embassy in Paris. France has an embassy in Astana and a consulate-general in Almaty. Kazakhstan has an embassy in Paris. Over 140 enterprises with French capital operate in Kazakhstan, including Total, Areva, Danone, Vicat, Peugeot, Alstom, etc. France has an embassy in Vientiane. Laos has an embassy in Paris. France has an embassy in Beirut. Lebanon has an embassy in Paris and a consulate-general in Marseille. Relations between the France and North Korea are officially non-existent. France is one of the two European Union members not to recognise North Korea, the other being Estonia. France therefore officially recognises South Korean sovereignty over the Korean peninsula. There is no French embassy, nor any other type of French diplomatic representation, in Pyongyang, and no DPRK embassy in Paris. There is, however, a North Korean diplomatic office in Neuilly sur Seine, near Paris. France has an embassy in Kuala Lumpur. Malaysia has an embassy in Paris. The relations started after the Federation of Malaya achieved independence in 1957, although the first Malayan ambassador to France only arrived in Paris in 1959. During the administration of Jacques Chirac and Mahathir Mohamad, the relations significantly improved especially in economics, politics and culturally aspects. Following the end of World War II, ambassador-level diplomatic relationships between France and Burma were established in 1948, soon after the Burmese nation became an independent republic on 4 January 1948, as Union of Burma, with Sao Shwe Thaik as its first President and U Nu as its first Prime Minister. France has an embassy in Yangon. Myanmar has an embassy in Paris. Pakistan and France have high levels of diplomatic meetings and enjoy very friendly bilateral relations. However, these good relations haven't been around very long due to a variety of reasons. Trade between the two countries is generally increasing with time. See also Pakistanis in France, Musa Javed Chohan: former ambassador of Pakistan to France and recipient of the Ordre National du Merite for the promotion of bilateral cooperation between France and Pakistan. France has an embassy in Islamabad. Pakistan has an embassy in Paris. The France–Philippines relations refers to the foreign relations between France and the Philippines. In 1947, France and the Philippines signed a Treaty of Amity which established diplomatic relations with the two countries. France has an embassy in Manila. Philippines has an embassy in Paris. Qatar is dependent on France for around 80% of its military imports. The first bilateral agreement between the two countries was signed in 1974. A defense pact was signed in 1994. Qatar's sovereign wealth fund has stakes in numerous French companies, including Paris Saint-Germain, Vivendi, and Vinci SA. France has an embassy in Doha. Qatar has an embassy in Paris. France has an embassy in Riyadh and a consulate-general in Jeddah..
Saudi Arabia has an embassy in Paris. The establishment of diplomatic relations between France and South Korea began on 4 June 1886. France and South Korea maintain very good relations. They collaborate on many topics and issues that are facing the world today. This was seen especially on the question of the Democratic People's Republic of Korea (DPRK) which is of course a matter of great importance for both countries Besides bilateral cooperation France and South Korea also work together in international organizations such as the United Nations, UNESCO, the OECD, etc. On the matter of North Korea, France is one of the few European countries (EU/EEA) to not have official diplomatic relations with North Korea. France has supported the Six-party talks as well as the role of the IAEA in finding solutions to the nuclear issue. France has an embassy in Seoul. South Korea has an embassy in Paris. France recognized the SNC on 21 November 2011. France–Thailand relations cover a period from the 16th century until modern times. Relations started in earnest during the reign of Louis XIV with numerous reciprocal embassies, and a major attempt by France to Christianize Siam (modern Thailand) and establish a French protectorate, which failed when the country revolted against foreign intrusions in 1688. France would only return more than a century and a half later as a modernized colonial power, engaging in a struggle for territory and influence against Thailand in the Indochinese Peninsula, which would last until the 20th century. France has an embassy in Bangkok. Thailand has an embassy in Paris. France has an embassy in Ankara and a consulate-general in Istanbul. Turkey has an embassy in Paris. France has an embassy in Ashgabat. Turkmenistan has an embassy in Paris. France has an embassy in Abu Dhabi and a consulate-general in Dubai. United Arab Emirates has an embassy in Paris. France–Vietnam relations started as early as the 17th century with the mission of the Jesuit father Alexandre de Rhodes. Various traders would visit Vietnam during the 18th century, until the major involvement of French forces under Pigneau de Béhaine to help establish the Nguyễn Dynasty from 1787 to 1789. France was heavily involved in Vietnam in the 19th century under the pretext of protecting the work of Catholic missionaries in the country. France progressively carved for itself a huge colony, which would form French Indochina in 1887. France continued to rule Vietnam as a colony until France's defeat in the First Indochina War and the proclamation of Vietnam's independence in 1954. France has an embassy in Hanoi and a consulate-general in Ho Chi Minh City. Vietnam has an embassy in Paris. France has maintained its status as key power in Western Europe because of its size, location, strong economy, membership in European organizations, strong military posture and energetic diplomacy. France generally has worked to strengthen the global economic and political influence of the EU and its role in common European defense and collective security. France supports the development of a European Security and Defence Identity (ESDI) as the foundation of efforts to enhance security in the European Union. France cooperates closely with Germany and Spain in this endeavor. Albania has an embassy in Paris. France has an embassy in Tirana. Andorra has an embassy in Paris. France has an embassy in Andorra la Vella. Austria has an embassy in Paris. France has an embassy in Vienna. Belarus has an embassy in Paris. Belarus has an embassy in Minsk. Belgium has an embassy in Paris. France has an embassy in Brussels. France was the first country to open embassy in besieged Sarajevo in January 1993. Centre André Malraux and French primary school are located in Sarajevo and French Institute and French Cultural Centre offices are present in Banja Luka, Mostar and Tuzla. Since October 2010 Bosnia and Herzegovina is an observer on the Francophonie. France has an embassy in Sarajevo. Bulgaria has an embassy in Paris. France has an embassy in Sofia. Bulgaria is a full member of the Francophonie since 1993. French president Nicolas Sarkozy, has been essential for the liberation of the Bulgarian nurse in the HIV trial in Libya. Cyprus has an embassy in Paris. France has an embassy in Nicosia. Czech Republic has an embassy in Paris. France has an embassy in Prague. Denmark has an embassy in Paris. France has an embassy in Copenhagen. Estonia has an embassy in Paris. France has an embassy in Tallinn. Finland has an embassy in Paris. France has an embassy in Helsinki. Franco-German cooperation is widely seen as the engine of European integration. France has an embassy in Berlin and consulates-general in Düsseldorf, Frankfurt, Hamburg, Munich, Saarbrücken and Stuttgart. Germany has an embassy in Paris and consulates-general in Lyon, Marseille and Strasbourg. Embassy level relations were enstablished since 1833 (only three years after the Greek independence). The two countries share membership of the European Union and NATO and maintain special relations. They were allies during both World Wars, Korean War and the Cold War and have never been adversaries of each other. Greece is a member of La Francophonie. France has an embassy in Athens. Greece has an embassy in Paris. The Holy See has an Apostolic Nunciature in Paris. France has an embassy to the Holy See based in Rome. France has an embassy in Budapest. Hungary has an embassy in Paris. France has an embassy in Reykjavík. Iceland has an embassy in Paris and 7 honorary consulates in Bordeaux, Caen, Dieppe, Lyon, Marseille, Nice, Strasbourg. Both countries are NATO members. Ireland has an embassy in Paris and three honorary consulates (Antibes, Cherbourg and Lyon). France has an embassy in Rome and consulates-general in Milan and Naples. Italy has an embassy in Paris and consulates-general in Lyon, Marseille, Metz and Nice. When Kosovo declared its independence from Serbia on 17 February 2008, France became one of the first countries to announce official recognition of sovereign Kosovo. France has an embassy in Pristina. Kosovo has an embassy in Paris. France recognized Latvia on 26 January 1921. France has never recognised the annexation of Latvia by the former Soviet Union. France re-recognized Latvia on 27 August 1991. France has an embassy in Riga. Latvia has an embassy in Paris and 9 honorary consulates (in Bordeaux, Calais, Lyon, Marseille, Nancy, Nantes, Saint-Étienne, Strasbourg and Toulouse). Both countries are full members of NATO and of the European Union. Since 2008, Latvia is an observer on the Francophonie. France has an embassy in Vilnius. Lithuania has an embassy in Paris and 5 honorary consulates (in Bordeaux, Marseille, Rouen, Troyes and Valence). Both countries are full members of NATO and of the European Union. Since 1999, Lithuania is an observer on the Francophonie. Luxembourg has an embassy in Paris. The two countries share membership of the European Union. The former president of France, Nicolas Sarkozy went to Malta on a private trip just after his election in May 2007. France has an embassy in Valletta. Malta has an embassy in Paris. France opened an Embassy in Chişinău. Moldova has an embassy in Paris. France has an embassy in Monte Carlo. Monaco has an embassy in Paris. France has an embassy in Podgorica. Montenegro has an embassy in Paris. 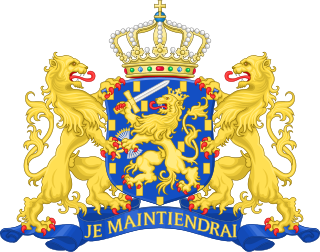 Both countries fought in the Franco-Dutch War. The two countries share a border in the Caribbean island of Saint Martin, to which the northern part of the island is a French overseas collectivity known as the Collectivity of Saint Martin, while the southern part of the island is a Dutch constituent country known as Sint Maarten. France has an embassy in The Hague with consulates in Amsterdam, Groningen, Maastricht, Middelburg, Rotterdam, 's-Hertogenbosch, and Utrecht. The Netherlands maintains an embassy in Paris with consulates in Ajaccio, Bordeaux, Brest, Calais, Le Havre, Lille, Lyon, Marseille, Montpellier, Nice, Strasbourg, and Toulouse. France has an embassy in Oslo. Norway has an embassy in Paris. Polish-French relations date several centuries, although they became really relevant only with times of French Revolution and reign of Napoleon I. Poles have been allies of Napoleon; large Polish community settled in France in the 19th century, and Poles and French were also allies during the interwar period. The official relations, having cooled down during the Cold War, have improved since the fall of communism. Currently both countries are part of the European Union and NATO. France has an embassy in Warsaw. Poland has an embassy in Paris. France has an embassy in Bucharest. Romania has an embassy in Paris. Right after the breakup of the USSR, bilateral relations between France and Russia were initially warm. On 7 February 1992, France signed a bilateral treaty, recognizing Russia as a successor of the USSR. As described on the French Ministry of Foreign Affairs, the bilateral relations between France and Russia remain longstanding, and remain strong to this day. France has an embassy in Moscow and consulates-general in Saint Petersburg and Yekaterinburg. Russia has an embassy in Paris and consulates-general in Marseille and Strasbourg. France has an embassy in Belgrade. Serbia has an embassy in Paris and 2 consulates (in Lyon and Strasbourg). Since 2006, Serbia is an observer on the Francophonie. There are between 70,000 and 100,000 people of Serbian descent living in France. France has an embassy in Bratislava. Slovakia has an embassy in Paris and 4 honorary consulates (in Grenoble, Lille, Toulouse and Saint-Pol-de-Léon). France has an embassy in Ljubljana. Slovenia has an embassy in Paris. Since 1999, Slovenia is an observer on the Francophonie. Both countries are members of NATO and the European Union. France has an embassy in Madrid and consulates-general in Barcelona, Bilbao and Seville. Spain has an embassy in Paris. France has an embassy in Bern. Switzerland has an embassy in Paris. France has an embassy in Kiev. Ukraine has an embassy in Paris. Since 2006, Ukraine has been an observer on the Francophonie organisation. France has an embassy in London and a consulate-general Edinburgh. United Kingdom has an embassy in Paris and consulates in Bordeaux, Lyon and Marseille. France and Scotland were military allies in the late Middle Ages through the Auld Alliance. From the Middle Ages onwards, France and England were often enemies, and occasionally allies. However, in the beginning of the 20th century a policy of entente cordiale (cordial agreement) was started. France and the United Kingdom became allies, and despite occasional tensions (such as: the perception among some in France that the British abandoned France in 1940; see Battle of France and Attack on Mers-el-Kébir), remain so to the present day. A chronic point of contention is the future of the European Union. Under French president Charles de Gaulle France opposed on several occasions the UK joining the European Economic Community (as the EU was then called). De Gaulle argued that the UK had extensive alliances outside Europe, especially with the United States, and was famously suspicious of its European neighbours. After the UK joined the EEC, British Prime Minister Margaret Thatcher argued for and won a reduction of its contributions to the EEC budget. As Prime Minister, Tony Blair expressed scepticism at French economic policies, but forged an alliance with President Nicolas Sarkozy. In August 2009, Nicolas Sarkozy became the first serving French leader to visit Australia. The Courier Mail reported that "serious bilateral issues" for Sarkozy and Kevin Rudd to discuss included "the war in Afghanistan and global warming". Australia has an embassy in Paris. France has an embassy in Canberra and a consulate-general in Sydney. Relations between the France| and the Fiji are currently strained, due to France's condemnation of the coup d'état in Fiji in December 2006. Previously, Franco-Fiji bilateral relations had primarily been centred on military cooperation, with France assisting Fiji in surveiling its maritime zone, and on development aid. French military assistance was suspended after the coup. French aid to Fiji includes the providing of equipment for poor and isolated areas, and assistance in the development of renewable energy. France also provides Fiji with translations into English of French scientific documents pertaining to the Pacific area. France promotes French culture and the French language in Fiji through the presence of the Alliance Française and by encouraging the teaching of French in schools and at the University of the South Pacific. The French embassy in Suva is accredited to Kiribati, Nauru, Tonga and Tuvalu. Fiji is accredited to France from its embassy in Brussels, Belgium. France has an embassy in Suva. The two countries maintain official diplomatic relations, but no diplomatic presence on each other's territory; the French embassy in Suva is accredited to Kiribati. In 1995, Nauru broke off relations diplomatic relations with France to protest French nuclear testing in the Pacific. Relations were resumed in 1997. Nauruan President Ludwig Scotty paid a State visit to Paris in June 2006, when he attended a France-Oceania multilateral summit. Relations between France and New Zealand have been rocky at the best of times, but more recently become much closer. Bilateral relations have been good since World War I and World War II, with both countries working extremely closely during either conflicts, but the relationship was severely jeopardised by the sinking of the Rainbow Warrior in Auckland on 10 July 1985 by French Direction Générale de la Sécurité Extérieure (DGSE) agents. New Zealand was put under fierce economic strain by France following the attack with French Government demanding the agents who carried out the attack to be released by the New Zealand government. Since then there has been some animosity among New Zealanders towards the French, but since the 20th anniversary of the bombing in 2005, there were signs that New Zealand had begun to warm to the French. There has been speculation that this acceptance of the French by the New Zealand people has a lot to do with the historic rivalry between both countries' Rugby teams. France has an embassy in Wellington. New Zealand has an embassy in Paris. Relations between the French Republic and the Independent State of Papua New Guinea are limited but cordial. Papua New Guinea is a member of the United Nations' Special Committee on Decolonization. The French government has noted what it calls Port Moresby's "moderate" attitude on the issue of the decolonisation of New Caledonia – which, like Papua New Guinea, is located in Melanesia. The French National Assembly maintains a Friendship Group with Papua New Guinea. France has an embassy in Port Moresby. Papua New Guinea is accredited to France from its embassy in Brussels, Belgium. Relations between both countries are very limited. Vanuatu, then known as the New Hebrides, was a Franco-British Condominium from 1906 to 1980, and maintained formal relations with both of its former colonial masters after gaining independence. Franco–ni-Vanuatu relations were rocked by a series of crises in the 1980s, and broke down completely on several occasions, with Vanuatu expelling the French ambassador in 1981, in 1984 and in 1987. Relations improved from the 1990s onwards, and, today, France provides development aid to Vanuatu. The two countries also share amicable economic and cultural relations; both are members of the Organisation internationale de la Francophonie. France has an embassy in Port Vila. Vanuatu has consulate-general in Nouméa, New Caledonia. ^ Simon J. Nuttall, European Foreign Policy (2000) p. 41. ^ "Tripoli annonce un contrat d'armement avec la France, l'Elysée dans l'embarras". Le Monde. 30 March 2011. Retrieved 10 June 2011. ^ "FMI : Strauss-Kahn candidat officiel de l'Union européenne". Le Figaro. 20 April 2011. Retrieved 10 June 2011. ^ Brinton Rowdybush, and Patrick Chamorel, "Aspirations and reality: French foreign policy and the 2012 elections." The Washington Quarterly (2012) 35#1 pp: 163–177. ^ Tony Chafer, "Hollande and Africa Policy." Modern & Contemporary France (2014) 22#4 pp: 513–531. ^ Kenneth R. Weinstein, "Hollande the hawk?." World Affairs 177.1 (2014): 87–96. ^ Sophie Meunier, "Is France Still Relevant?." French Politics, Culture & Society 35.2 (2017): 59-75, quoting pp 61-62. ^ William Roosen, The age of Louis XIV: the rise of modern diplomacy (1976). ^ Lynn Marshall Case, French opinion on war and diplomacy during the Second Empire (1954). ^ Edward E. Azar, "Conflict escalation and conflict reduction in an international crisis: Suez, 1956". Journal of Conflict Resolution (1972): 183–201. JSTOR 173313. ^ Robert D. McKinlay, "The Aid Relationship A Foreign Policy Model and Interpretation of the Distributions of Official Bilateral Economic Aid of the United States, the United Kingdom, France, and Germany, 1960–1970." Comparative Political Studies (1979) 11#4 pp: 411–464. ^ "Ahmed Ben Bella: Plus ça change". Al-Ahram Weekly. 16 May 2001. Archived from the original on 15 July 2007. ^ a b c d e f Hugh Schofiel (16 May 2005). "Colonial abuses haunt France". BBC News. Retrieved 4 January 2010. ^ "Algerian leader calls colonisation 'genocide'". The Scotsman. 18 April 2006. ^ "Paris' game turns against due to Algeria". Diplomatic Observer. Archived from the original on 28 September 2007. ^ "France in Favor of So-Called Genocide Resorts to Historians". Zaman Online. 10 December 2005. Archived from the original on 13 July 2012. ^ "French recognizes Armenian Genocide". BBC News. 29 May 1998. Retrieved 4 January 2010. ^ "Turkish parliamentary committee drafts law on Algerian genocide". NTV-MSNBC. 11 October 2006. ^ "Sarkozy to mend fences with Angola – News – Mail & Guardian Online". Mail & Guardian. 23 May 2008. Retrieved 10 June 2011. ^ "Ambassade de Centrafrique à Paris :: Accueil". Retrieved 19 February 2015. ^ "La France en République Centrafricaine". Retrieved 19 February 2015. ^ "Ambassade de la République du Tchad à Paris". Retrieved 19 February 2015. ^ "Ambassade de France au Tchad". Retrieved 19 February 2015. ^ "Moland og French har fått egen celle etter hjelp fra François Hollande". VG. 5 January 2013. Retrieved 19 February 2015. ^ "Libya: France". Library of Congress Country Studies. 1987. Retrieved 17 July 2008. ^ "La France à Madagascar". Retrieved 19 February 2015. ^ "France sends new ambassador to Somalia". SomaliCurrent. 15 January 2014. Retrieved 20 January 2014. ^ a b "France and Brazil – Political relations". Ministry of Foreign Affairs of France. Archived from the original on 18 October 2007. Retrieved 18 February 2008. ^ "Government of Canada - Gouvernement du Canada". Retrieved 27 April 2016. ^ "Voici le Québec - Délégation générale du Québec à Paris". Retrieved 27 April 2016. ^ "La France au Canada". Retrieved 27 April 2016. ^ "La France au Mexique – Francia en México". Retrieved 19 February 2015. ^ "Bienvenidos a la portada". Retrieved 19 February 2015. ^ World trade and arbitration materials v. 11, nos. 1–3 (Werner Pub. Co., 1999), 24. ^ Jimbon, Source: Antara (10 October 2009). "How French Sees The Relations with Indonesia". Kompas.com. Retrieved 11 February 2013. ^ "France and Indonesia". France Diplomatie. 1 August 2012. Retrieved 11 February 2013. ^ David Styan, "Jacques Chirac's 'non': France, Iraq and the United Nations, 1991–2003." Modern & Contemporary France (2004) 12#2 pp: 371–385. ^ "France and Iraq Restore Relations". BBC. 12 July 2004. Retrieved 23 August 2008. France and Iraq have restored diplomatic ties after a 13-year break. Iraq's then leader, Saddam Hussein, severed ties in 1991 in protest at France's participation in the war to expel Iraqi forces from Kuwait. ^ "B. Sagintayev, representatives of the Chamber of Commerce and Industry "France-Kazakhstan" discuss prospects for expanding cooperation". www.government.kz. ^ "Official website of the French National Assembly". Questions.assemblee-nationale.fr. Retrieved 10 June 2011. ^ a b Christoph Marcinkowski; Constance Chevallier-Govers; Ruhanas Harun (2011). Malaysia and the European Union: Perspectives for the Twenty-first Century. LIT Verlag Münster. pp. 34–. ISBN 978-3-643-80085-5. ^ Dominique Lagarde (27 February 2009). "Le Qatar, un émirat francophile". L'Express (in French). Retrieved 13 September 2015. ^ "Agreements and Treaties". French Embassy in Doha. Retrieved 13 September 2015. ^ "Qatari exports to France double over 2000". Al Bawaba. 24 June 2001. Retrieved 13 September 2015. ^ "La France en Bosnie-Herzégovine". Retrieved 19 February 2015. ^ "Efmlfsarajevo.org". Retrieved 19 February 2015. ^ "Bosnie Herzégovine – Organisation internationale de la Francophonie". Retrieved 19 February 2015. ^ "Ambassade de Bosnie-Herzégovine en France". Retrieved 19 February 2015. ^ V.Todorov. "Bulgarian embassy in Paris (in French only)". Amb-bulgarie.fr. Retrieved 10 June 2011. ^ "French embassy in Sofia (in French and Bulgarian only)". Ambafrance-bg.org. Retrieved 10 June 2011. ^ The French Ministry of Foreign affairs. "Greece". France Diplomatie :: The French Ministry of Foreign affairs. Retrieved 19 February 2015. ^ "Ambassade de France en Grèce – Πρεσβεία της Γαλλίας στην Ελλάδα – La France en Grèce". Retrieved 19 February 2015. ^ "Nouvelle page 2". Retrieved 19 February 2015. ^ "France embassy in Reykjavík". Ambafrance.is. Retrieved 10 June 2011. ^ "Irish embassy in Paris". Embassyofireland.fr. Archived from the original on 18 October 2010. Retrieved 24 October 2010. ^ "French embassy in Riga (in French and Latvian only)". Ambafrance-lv.org. Retrieved 10 June 2011. ^ "Latvian embassy in Paris (in French and Latvian only)". Am.gov.lv. Retrieved 10 June 2011. ^ "French embassy in Vilnius (in French and Lithuanian only)". Ambafrance-lt.org. Retrieved 10 June 2011. ^ "Lithuanian embassy in Paris (in French and Lithuanian only)". Fr.mfa.lt. Retrieved 10 June 2011. ^ "French embassy in Podgorica (in French only)". Ambafrance-me.org. Retrieved 10 June 2011. ^ "Embassy of France in The Hague, Netherlands". EmbassyPages.com. Retrieved 6 November 2015. ^ "Embassy of the Netherlands in Paris, France". EmbassyPages.com. Retrieved 6 November 2015. ^ "French Ministry of foreign affairs – France and Russia". Diplomatie.gouv.fr. Retrieved 10 June 2011. ^ "French embassy in Belgrade (in French and Serbian only)". Ambafrance-srb.org. Retrieved 10 June 2011. ^ "Serbian embassy in Paris(in French and Serbian only)". Amb-serbie.fr. Archived from the original on 29 June 2007. Retrieved 10 June 2011. ^ "Slovak embassy in Paris (in French and Slovakian only)". Mzv.sk. Retrieved 10 June 2011. ^ "French embassy in Ljubljana (in French and Slovenian only)". Ambafrance.si. Retrieved 10 June 2011. ^ "French embassy in Kiev (in French and Ukrainian only)". Ambafrance-ua.org. Retrieved 10 June 2011. ^ "Ukrainian embassy in Paris". Mfa.gov.ua. Retrieved 10 June 2011. ^ "Iles Fidji – France-Diplomatie-Ministère des Affaires étrangères et européennes". Diplomatie.gouv.fr. Retrieved 10 June 2011. ^ "Présentation – France-Diplomatie-Ministère des Affaires étrangères et européennes". Diplomatie.gouv.fr. Retrieved 10 June 2011. ^ "UN calls on France to give Caledonians chance of having independence". The Sydney Morning Herald. 19 March 1987. Retrieved 4 June 2009. ^ "France and Solomon islands". Bozo, Frédéric. French Foreign Policy since 1945: An Introduction (Berghahn Books, 2016). Cole, Alistair. Franco-German Relations (2000). Fenby, Jonathan. The General: Charles De Gaulle and the France he saved (2010). Krotz, Ulrich. "Three eras and possible futures: a long-term view on the Franco-German relationship a century after the First World War." International Affairs (2014) 20#2 pp 337–350. Lequesne, Christian. "French foreign and security challenges after the Paris terrorist attacks." Contemporary security policy 37.2 (2016): 306–318. Soutou, Georges-Henri. "France and the Cold War, 1944-63." Diplomacy & Statecraft. (2001) 12#4 pp 3-52. French–American relations refers to the diplomatic, social, economic and cultural relations between France and the United States since 1776. France was the first ally of the new United States. The 1778 treaty and military support proved decisive in the American victory over Britain in the American Revolutionary War. France fared poorly, with few gains and heavy debts, which were contributing causes of France's own revolution and eventual transition to a Republic. Chad–France relations refers to the diplomatic relations between the Republic of Chad and the French Republic. France controlled Chad beginning in 1900 until the country's independence in 1960. Both nations are today members of the Francophonie and the United Nations. French-Romanian relations are bilateral foreign relations between France and Romania. Diplomatic relations between the two countries date back to 1880, when mutual legations were opened, although contacts between France and Romania's precursor states stretch into the Middle Ages. France–Russia relations date back to the early modern period. This is a list of diplomatic missions of Cameroon, excluding honorary consulates. Cameroon has an extensive network of diplomatic missions, reflecting strong ties and non-contentious standing with other African states, its special relationships with France, the United States, Russia, and China, and its unique position of being both a member of the Commonwealth of Nations and Francophonie. French–Iraq relations refers to the relations between France and Iraq. France played a major role in Iraqi succession from the Ottoman Empire and eventual freedom from British colonial status. The Franco-Iraqi relationship is often defined by conflict and peace, with France supporting Iraq during the Iran-Iraq War, supporting intervention in Iraq in Operation Desert Storm, and opposing the 2003 Invasion of Iraq. As of 2004, Iraq maintains an embassy in Paris and France maintains an embassy in Baghdad. France–Greece relations, or Franco-Greek relations, are foreign relations between France and Greece. In modern times, both countries established diplomatic relations in 1833, three years after Greek Independence. France and Greece, due to strong cultural and historical ties, have had a strong and special relationship and strategic alliance for decades and today enjoy strong diplomatic relations. France–Ireland relations refers to the current and historical relations between France and Ireland. Both nations are members of the Council of Europe, European Union and the Organisation for Economic Co-operation and Development. Freddy Eytan, is an Israeli diplomat, former ambassador, writer and journalist. After the Israeli Declaration of Independence in 1948 and in the early 1950s, France and Israel maintained close political and military ties. France was Israel's main weapons supplier until its withdrawal from Algeria in 1962. Three days before the outbreak of the Six-Day War in 1967, Charles de Gaulle's government imposed an arms embargo on the region, mostly affecting Israel. This is a list of diplomatic missions in South Sudan. The capital city of Juba currently hosts 22 resident embassies. This is a list of diplomatic missions of South Sudan. France–Haiti relations are foreign relations between France and Haiti. Both nations are members of the Francophonie, United Nations, and the World Trade Organization. France–Indonesia relations are foreign bilateral relations between the French Republic and the Republic of Indonesia. The indirect relation between France and Indonesia was commenced during early 19th century colonial Dutch East Indies. Since 2011 both nations have formed a strategic partnership. Sylvie-Agnès Bermann is a French career diplomat and former Ambassador of France to the United Kingdom. She's the current ambassador of France to Russia. Afghanistan–France relations refers to the diplomatic relations between Afghanistan and France.